When all of Denton seems to calm down during the week, Silver Cinemas keeps the good times rolling on Tuesday nights. Tickets to their movies are always $2.50, but on Tuesday’s you can celebrate savings with $2.00 tickets at the best theater in town. With deals like these, you can spend less than $10 on a date night that is sure to make a lasting impression on any long-term partner or newly found love. If you missed seeing that movie everyone keeps talking about, Silver Cinemas has got you covered! They keep their prices low by showing movies that are no longer in theaters, but not yet out on Netflix or DVD. 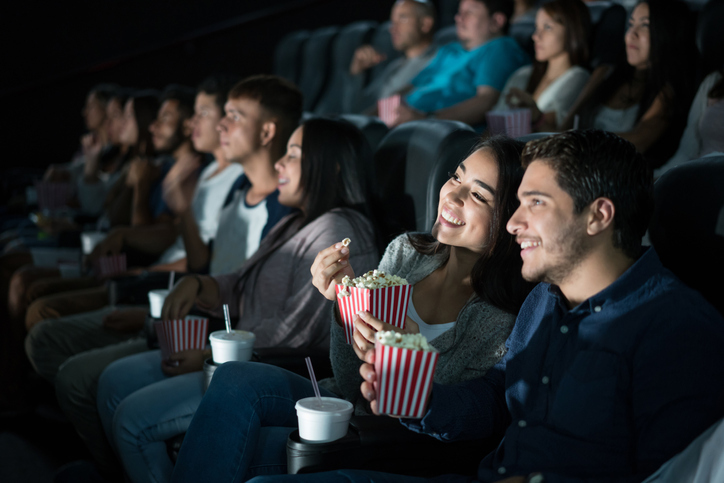 Right now, you can catch instant classics like Spider-Man: Into The Spider-Verse, The Lego Movie 2: The Second Part and Aquaman to make Tuesday night the best date night of the week. The best part of going to a movie in Golden Triangle Mall is that there’s still plenty to do when the movie is over! There’s nothing more fun than shopping with your sweetheart, and with tons of great stores like H&M and JCPenny, you’ll both be able to find stylish clothes for the new season. To make the date even sweeter, you can even pick up some elegant treats from Le Macaron or pretzels from Auntie Anne’s that will surely tie the whole date together. With these exciting weekday date night ideas in Denton, you’re set to make this Tuesday more romantic than ever. All you have to do is make your way to Golden Triangle Mall to light up your night with Silver Cinemas and tons of other fun options for date night. Want to learn more about date night ideas in Denton? Check out our blog today!